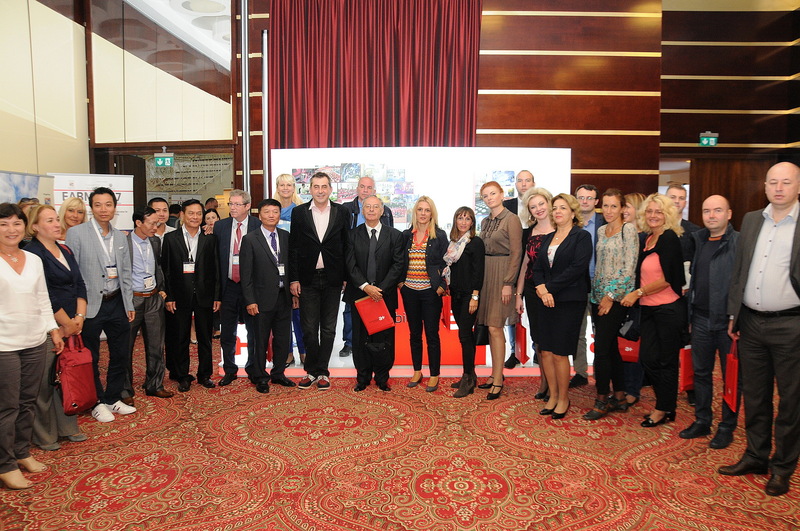 Antibiotice was a scientific partner at the Congress of the Euro-Asian Bridge Society for Cardiovascular Surgery. 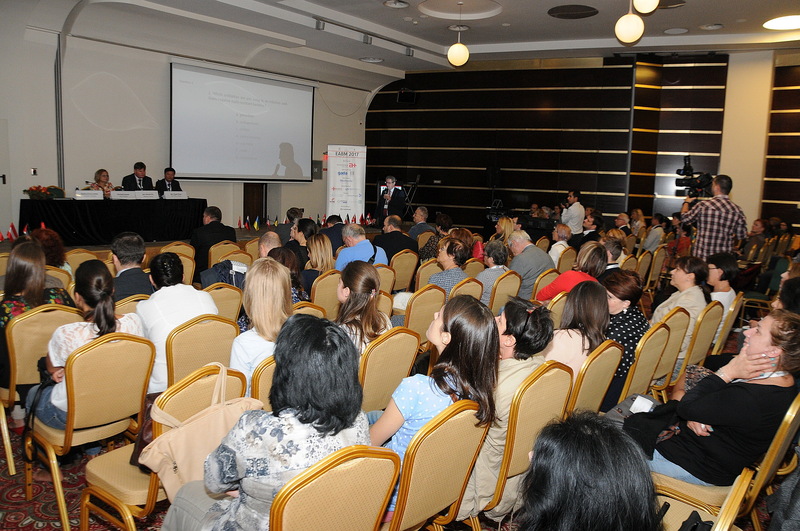 The largest international cardiovascular surgery event organized in Romania was held on September 21-24, in Iasi. 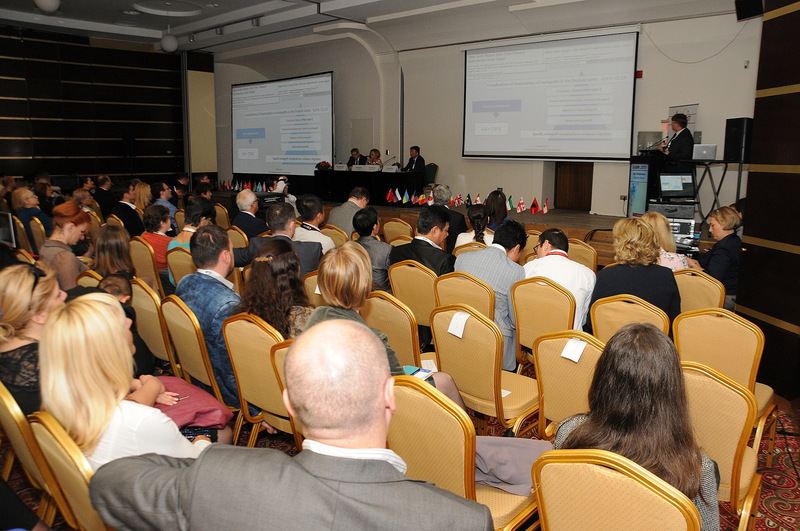 The Congress was organized in partnership with the University of Medicine and Pharmacy Iași and the Romanian Academy of Scientists. Among them: Professor Sotirios Prapas, chancellor of the Euro-Asian Society, Guo-Wei He from the Chinese Academy of Medical Sciences, one of the pioneers of myocardial revascularization, Hirofumi Takemura, (Japan), Randas Vilela Batista (Brazil) an innovative high-tech surgeon in cardiovascular surgery. The event proved to be a scientific marathon with 90 speakers and nearly 600 participants from over 40 countries, the congress for Cardiovascular Surgery (EAB 2017) was an event with an important impact on Antibiotice’s image among specialists attending this event. “Antibiotice has managed to integrate itself into the national and international scientific world and in my opinion this is one of the keys to its success. I mention the important portfolio of effective drugs that prevent and treat cardiovascular pathology. I am impressed that delegates from Serbia, Ukraine, USA, Vietnam and China have appreciated the very high level of manufacturing lines and the research carried out by the company. 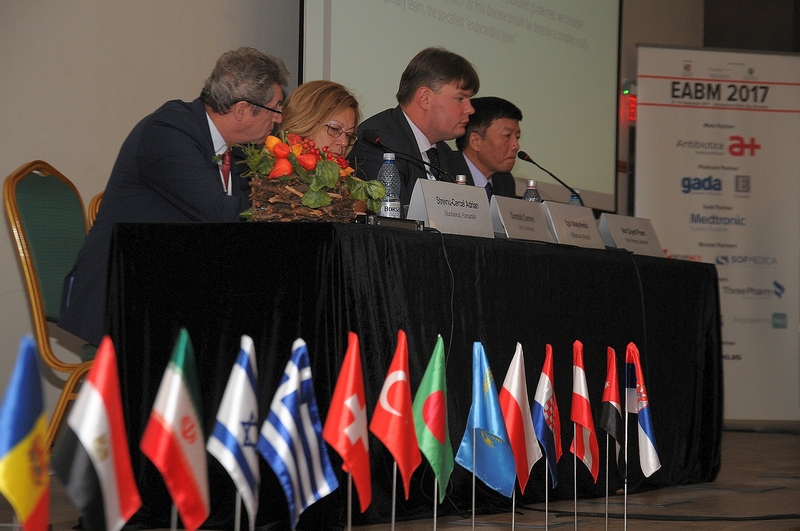 For this reason, I appreciate that Antibiotice is not just a drug producer with exports to more than 70 countries in the world, but also a company involved in scientific research in developing and disseminating knowledge about the treatment of different pathologies, ” stated Prof. dr. Grigore Tinica, President of Euro-Asian Bridge Surgery. Among the Romanian speakers at this congress we mention Prof. Dr. Adrian Streinu Cercel, Manager of the Matei Balș National Institute of Infectious Diseases who appreciated Antibiotice’s involvement in the most important event for cardiovascular surgery in Romania.” For me, Antibiotice is a reason for national pride and it’s great that a generic company such as Antibiotice is present at such international events even more so as one of the antibiotics this company produces is a particularly important one, used to treat many resistant germ infections. Antibiotice has never altered the quality of its medicines, meets all GMP standards, which explains international recognition, for example, in the United States it has products that have the FDA approval and that says a lot, “said Prof. Dr. Adrian Streinu Cercel. 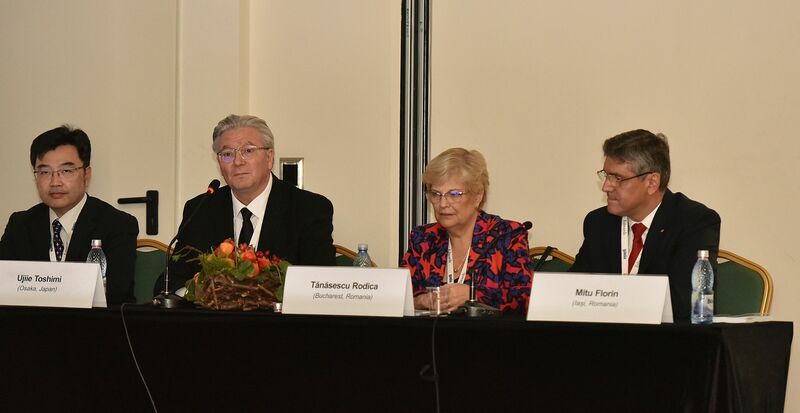 The importance of this scientific event, the complex multidisciplinary program and the participation of elite professionals from all over the world prove that this congress was a success. “I appreciate the quality of this congress where I have learned a lot about my medical specialty. It was a welcome event because I had the opportunity to find out more about Antibiotice and its portfolio. 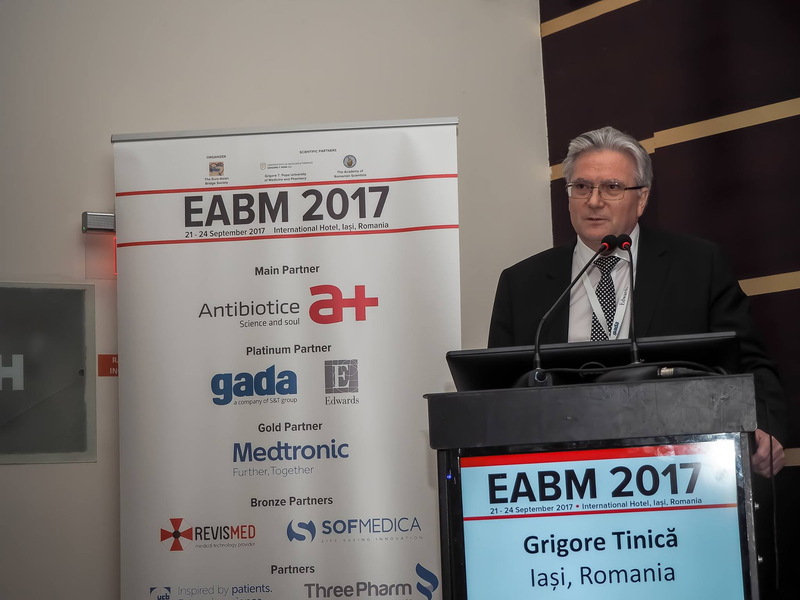 We have greatly appreciated the presentation on specialists’ recommendations concerning the prevention of resistance to antibiotics, a current phenomenon in the world, “said Dr. Boris Gingic, a cardiologist at the Nisch Hospital, Serbia. Antibiotice’s involvement as a scientific partner of this event was appreciated by delegations of professionals invited to the congress. The Ukrainian delegation noted that Antibiotice is investing in education and in the training of physicians. “The fact that Antibiotice invests in education and is the main partner of a medical event that brings together the elite of international cardiovascular surgery professionals, shows respect for knowledge and understanding the importance of this phenomenon in the training of physicians. By investing in education, Antibiotice provides very good prospects in the future, “said Prof. Igor Mokryk, cardiovascular surgeon at the Kiev Institute of the Heart. Some of the specialists who participated in the EABM 2017 scientific program visited Antibiotice. “We visited all plants/buildings, this was the first visit of a Romanian pharmaceutical company and there is no difference from the plants visited by now, on the contrary, our entire team has found that Antibiotice is at a much higher level than many of the plants we visited so far. Some of the company’s products recently registered in Serbia are part of the cardio-medical portfolio we use and we consider these medicines reliable “, said Dr. Alexandru Stancovici, cardiologist at Lescovat Hospital, Serbia. The pharmaceutical market is today a global market, and the products of a pharmaceutical company can circulate all over the world after obtaining the marketing authorization in their respective territories. Medical pathology is common in various international territories, and the EABM 2017 Congress has shown that therapeutic solutions, much like the medication used in Europe and Asia for various cardiovascular diseases or infections, are similar. 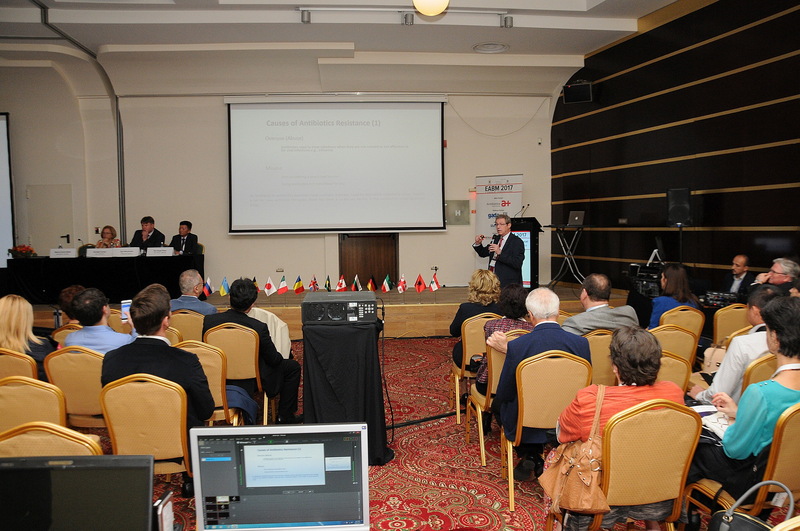 “As a partner of the Annual meeting of the Euro-Asian Bridge Society for Cardiovascular Surgery, Antibiotice integrated into the scientific communication platform that has provided physicians from different territories such as Vietnam, Serbia, Ukraine, Moldova, Russia, USA, Azerbaijan, the opportunity to discuss with specialists in similar fields, who have used our anti-infective and cardiovascular drugs for many years now. This has resulted in a useful exchange of information, which, together with the company’s manufacturing visits, enhanced confidence in the efficacy, quality and safety of Antibiotice medicines. 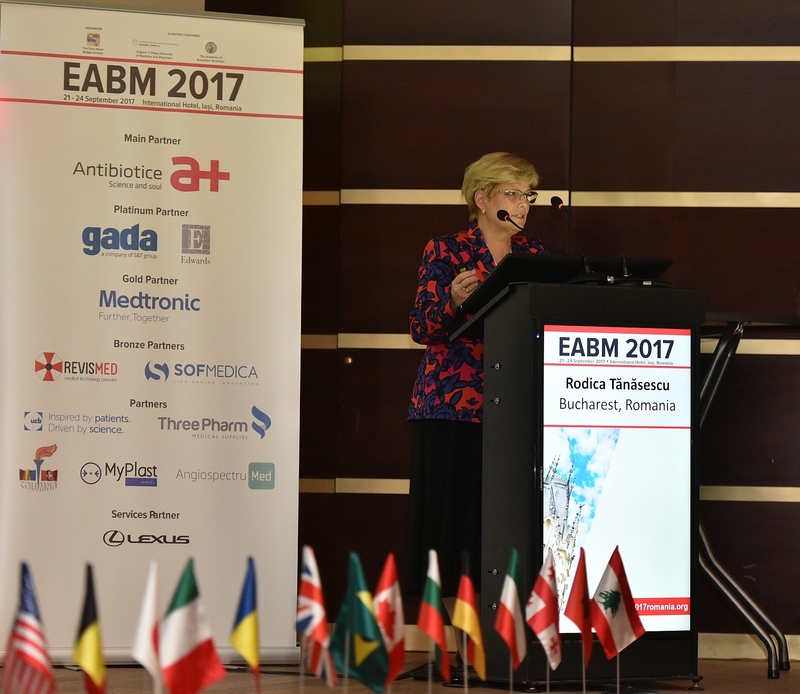 The words of EABM 2017 participants are relevant, and show appreciation for the performance of Romanian specialists and for Antibiotice, an international generic drug company based in Iasi, the easternmost point of the European Union which was for a few days the center of world cardiovascular surgery,” said Dr. Mihaela Mosneguţu, Medical Director of Antibiotice.